James is Managing Partner and Co-Founder of Pleasant Bay Capital Partners (“PBCP”) and has over 25 years of private equity experience. In 2012, James teamed up with Covington Associates to form PBCP, a private equity firm focused on working with family offices, high net worth individuals and institutional investors in the acquisition, growth, and recapitalization of lower middle market companies. Prior to Pleasant Bay Capital Partners, James was a Co-Founder and General Partner of Ticonderoga Capital Inc., an investment firm that managed three funds with total committed capital of over $250 Million. As a General Partner, he focused on equity and subordinated debt investments in healthcare, business services, and software companies. 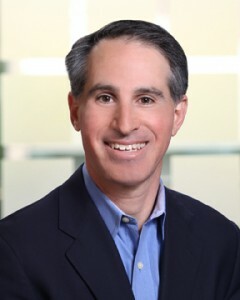 Throughout his career, James has been an active Board member in many companies and has assisted portfolio companies in management recruitment, strategic and operational issues, raising equity and debt financings, identification and due diligence on acquisition targets, and sale/merger/IPO discussions. Prior to Ticonderoga, James worked at Dillon Read & Co.’s venture capital group making growth equity investments for its fund. He worked previously with TA Associates where he focused on management buyouts, recapitalizations, and minority growth capital investments of lower middle market technology and service-related businesses. Prior to TA Associates, he was employed by APM Inc., where he specialized in strategic and operational consulting to hospitals and managed care companies. James received a B.A. in Economics and Organizational Behavior & Management, with Honors, from Brown University. Scott Fisher joined Pleasant Bay as a Managing Director in 2013. He brings over seventeen years of private equity, M&A, and corporate strategy experience to the firm, primarily in the healthcare and life sciences sectors but also in business services and technology. Scott has a successful track record of working with companies to drive equity value creation. Prior to joining Pleasant Bay, Scott was a Partner and co-founder of Centerstone Partners, an independent sponsor private equity firm where he led all aspects of the firm’s investment activities. At Centerstone, Scott helped build and finance several healthcare and life sciences companies as a founder, investor, operator and advisor, including Amerigen Pharmaceuticals, Theorem Clinical Research, and Cuda Pharmaceuticals among others. He sourced and executed these proprietary investment opportunities, working in close partnership with other institutional investors. Scott has served on the Boards of and advised numerous private companies, and his experience spans both domestic and emerging markets. Previously, Scott was the Director of Corporate Development at Fisher Scientific International, where he led mergers and acquisitions for Fisher’s healthcare and diagnostics businesses. Prior to Fisher Scientific, Scott worked at Bain & Company, focusing on growth strategies and private equity engagements. 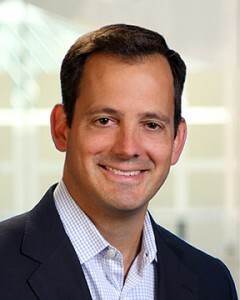 Scott began his career in private equity at First Union Capital Partners, where he executed middle-market leveraged buyout and growth equity investments. Scott holds an MBA from Harvard Business School and a BA in Economics from Duke University. He is married with two young children and lives outside of Boston. Copyright @ 2013 Pleasant Bay Capital Partners - All Rights Reserved.